Karan Johar is on the receiving end of a lot of online hate today. After he accidentally liked a tweet that spoke on how the collections of Akshay Kumar starrer Kesari are significantly better than Shah Rukh Khan's Zero. The user used expletives to describe the same, using homophobic puns. Soon hashtag #ShameOnKaranJohar started trending on the micro-blogging site, with fans of Khan calling out the director for liking such an offensive tweet. #ShameOnKaranJohar is currently trending at No 5 on Twitter India trends with over 60,000 tweets. Salman & Srk had fallout in past but they never disrespected each other. 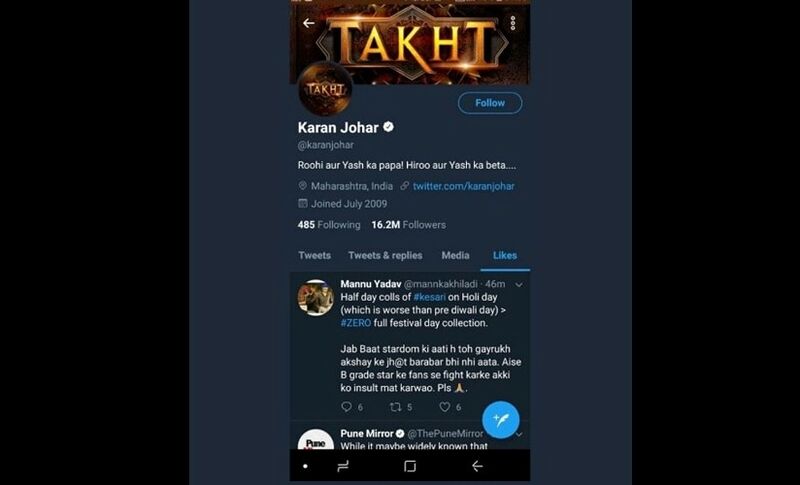 There’s something called Level : But here @karanjohar being the most shameless person of Bollywood or we can say next level ‘bezzat’ how can you expect something like that from him. No matter how much we fight on Twitter, it is our duty to support the right and oppose the wrong. The filmmaker later took to Twitter to describe it as a technical glitch and clarified he is getting it sorted out. Produced by Karan Johar, Kesari has set the box-office on fire as it collected Rs. 21.50 crore on Day 1, making it the highest opener of 2019. 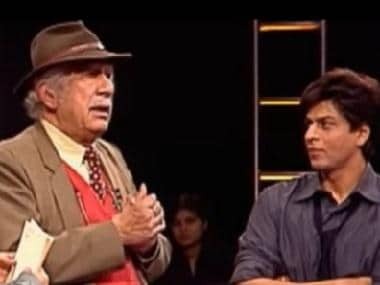 Shahrukh Khan later took to Twitter and defended Johar. He asked his fans to slow down with the hate and wrote, "Just like Life, twitter doesn’t come with instructions, so mistakes are natural."